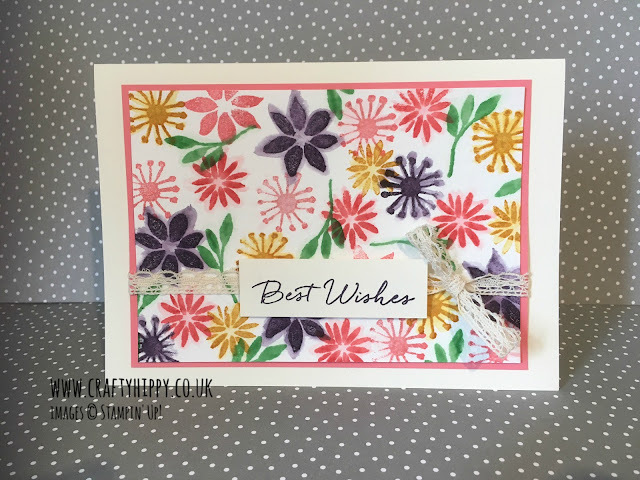 The flowers from Blooms & Wishes have an extra layer of dimension added to them - I stamped them directly onto Watercolour Paper and then washed over the edges with an Aqua Painter. I used a variety of Classic Stampin' Pads - you could pick any colour and reproduce this look, although I found it works on darker colours (look how good the Elegant Eggplant flowers turned out). Don't forget that we're in the middle of Sale-a-bration so there is a FREE gift for every £45 spent on Stampin' Up! products (while stocks last). This promotion ends on the 31st March 2017. Back tomorrow with another project!